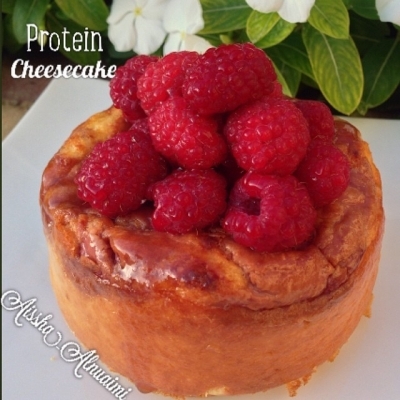 A protein cheesecake perfect for post work out. In a food processor mix the egg,protein powder, vanilla, stevia or any favorite sweetener, pineapple, coconuts flakes and cottage cheese..
After mixing well all ingredients remove 2 tablespoon of the mixture and mix with 2 tablespoon of oats and put in the bottom of the baking dish then the rest of the mixture. 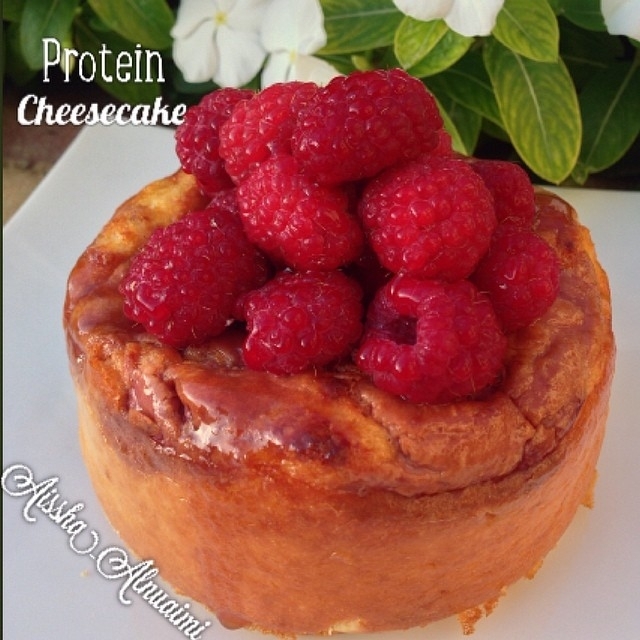 Blend the raspberries with 3 tablespoon if the mixture and add to the top of the cake. Bake it 250 C for about 20 min..